Mr. Higgin Kim graduated Miami Univ. in 1969 and achieved an honorary doctorate in 2002. He has been in construction, engineering and real estate development field since 1979 under the name of Byucksan Engineering. He is known as modest philanthropist in many cultural fields as well as missionary work; Chair of Membership Society of the National Museum of Modern and Contemporary Art Korea, Korean Symphony Orchestra, Korea Festival Ensemble, Sejong Soloists based in NYC, Board of Korea Mecenat Association, Arts Council Korea. As a patron of the Stradivari Society, he has been a devoted patron for talented artists, by lending music instruments (ANTONIO STRADIVARI, Cremona 1683-‘Cobbett’, PIETRO GUARNERI, Mantua 1710-‘Posner’, MATTEO GOFFRILLER, Venice 1707-‘Munroe’ ) for free to improve their skills. He later founded Byucksan Cultural Foundation and started the “NEXT Classic Project”, which showcases free classical music performances to high school students across the country to convey the significance of arts. He received the ‘Mecenat Figure Award’ by Korea Mecenat Association in 2011 and the 22nd Montblanc de la Culture Arts Patronage Award in 2013. And he is an only Korean nominated at the Art Basel, Global Patrons Council(GPC). Editor’s Note: There are many sides to modern Asian metropolis, and just as many ways to visit them. For collectors and art lovers, the best way to explore new urban scenarios and learn about a country’s cultural, social and political situation is certainly through contemporary art. However, the question for those who set foot in a new city for the first time is always the same: where do I start my artistic adventure from? Here at CoBo we have a few, very exciting cues; for our Asia’s Art Cities Guide we have asked the most authoritative local collectors to share their best kept secrets about their own city’s art scene. Whether it is Kim Camacho’s Manila, the Jakarta art scene through the eyes of Tom Tandio, Adrian Cheng’s recommendations about the new cultural districts in Hong Kong, Disaphol Chansiri’s anticipation of the two new biennales in Thailand, Ivan Pun’s exploration in Myanmar, Ichrio Fukano’s highlights on art and lifestyle in Tokyo, the exclusive insights of Tarana Sawhney on Delhi, Higgin Kim’s insider’s take on Seoul, or Zheng Hao’s all-time favourite Shanghai, we want to give you a foray into what these Asian fast-developing cities have to offer. In conjunction with our collectors art tours, we want to bring you straight to the galleries, art spaces, or informal hangouts that will influence trends for the Asian art scene to come, to see by yourself in which direction the artistic stream is going. If it’s true that exploring the Asian art scene means getting off the beaten path and taking an unconventional look at these vibrant hubs, then wearing the lens of these bunch of top-notch insiders is the best way to do it. Seoul-based Higgin Kim is a living example of how being a patron for the arts and culture can change one’s outlook on life. 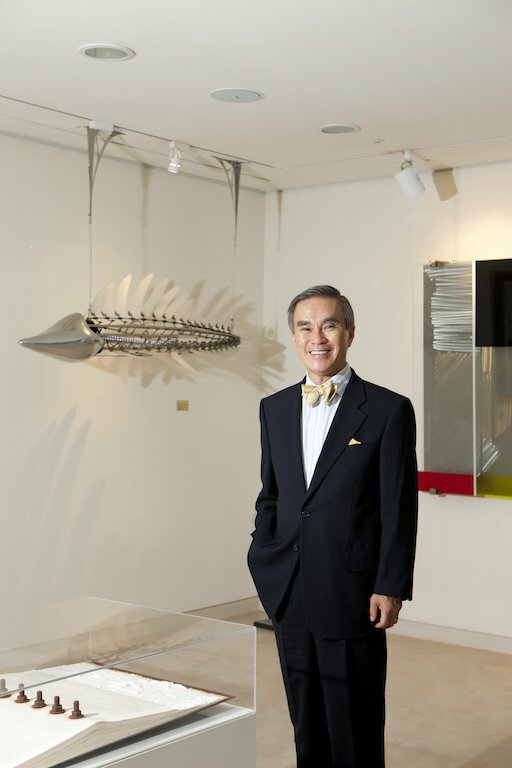 The CEO of Byucksan Engineering and Construction Company is deeply committed to philanthropy and a collector of contemporary art, which he mostly buys at art fairs. Indeed he helps to support one of the most prominent Korean art fairs, KIAF, and is a member of the Art Basel Global Patrons Council. In addition, Higgin Kim is a philanthropist for a number of Korean institutions of classical music and art, such as the Sejong Soloists and Arts Council Korea. How would you describe the art scene in Seoul? Diverse and vibrant. Seoul is an eclectic combination of the old and the new. From the 15th century palace to museums in ultra-modern buildings, the city offers a diverse range of cultural enjoyment. We know that you are a big patron of art and music. What is the best place that fuses both art and music together? Fusing the fine arts and classical music together in one place is not normally recommended anywhere in a civilized country. However, Seoul Art Center (SAC) has two art exhibition halls, a calligraphy hall, three concert halls and an opera house, plus auxiliary buildings. They are all normally full of activities, except on Mondays. What is your favourite gallery in town? There is no such a thing as a favorite gallery, as each successful gallery has its own specialty, such as being an expensive international gallery, domestic contemporary galleries, young artist-oriented gallery, interesting experimental gallery, or specializing in sculpture and modern art, etc. Where is the best place to go for an artsy dinner in town? Dining in Space, a French restaurant in the compound of the Arario Museum in Space. This is the home of CI Kim’s private collection and the restaurant is located on the 5th floor of the glass tower, overlooking the Changdeok Palace and its surrounding forest. When is the best time to take an art trip to Seoul? In the Fall, in the even years when there are major biennales around the country (Seoul Media Art Biennale, Gwangju Biennale and Busan Biennale). This is when major museums and galleries hold important, well-curated shows. What should art lover know/prepare before they set foot in Seoul? There are plenty of curators and consultants that are educated abroad and overseas. Collectors can easily get around if they are properly introduced and I know a few who have been a professional assistant for various museum and collectors.